Can you believe that Wednesday is the halfway point? Where did those 2 weeks go? 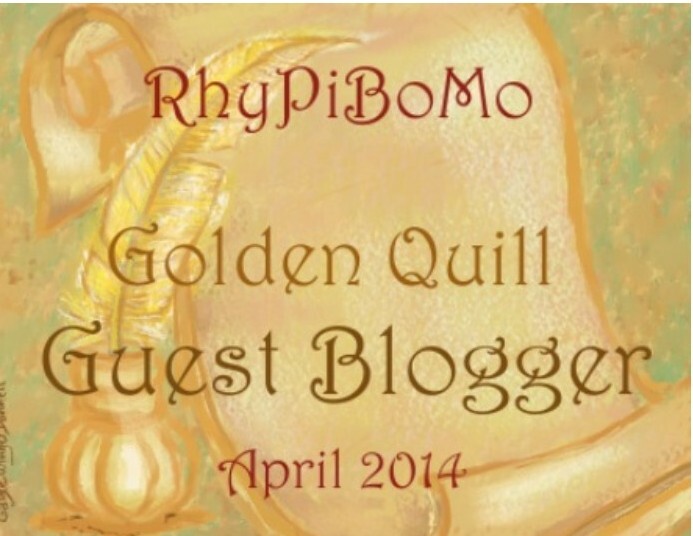 This Wednesday, April 16th, is the last day to register for RhyPiBoMo! Don’t forget… if you have been following along and reading the blogs, this will make you eligible to win a daily prize donated by one of our guest bloggers. Comment each day you participate and your name will go into the drawing. 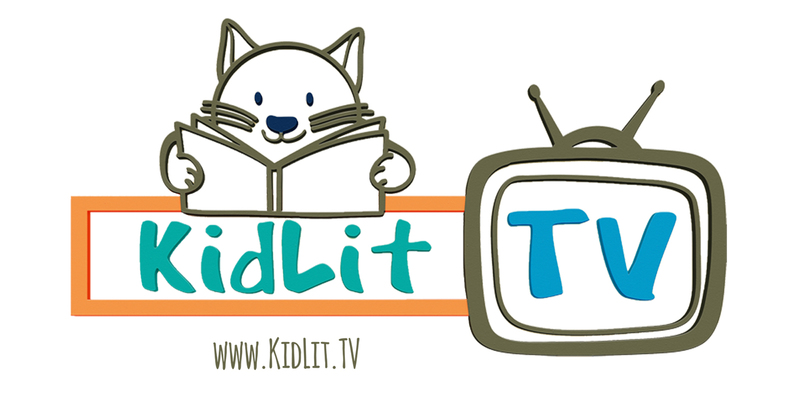 3 Things You Must Know About Writing Rhyming Kids’ Books! 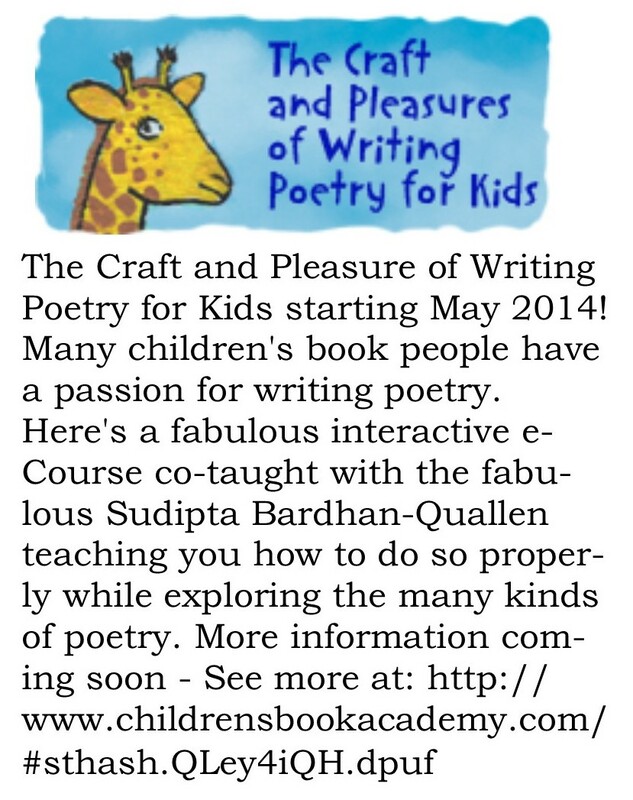 And they have a marvelous Poetry class coming up too! How do I know it’s marvelous? Because I’ve taken Mira’s Courses before…enough said! 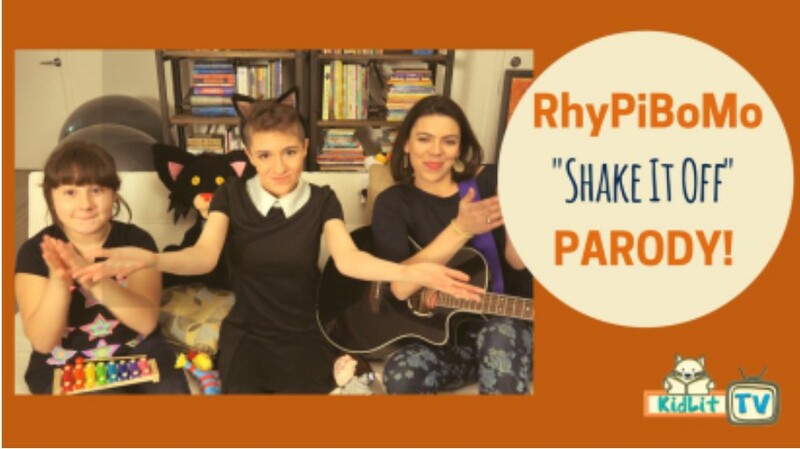 This dynamic duo will knock our rhyming socks off! 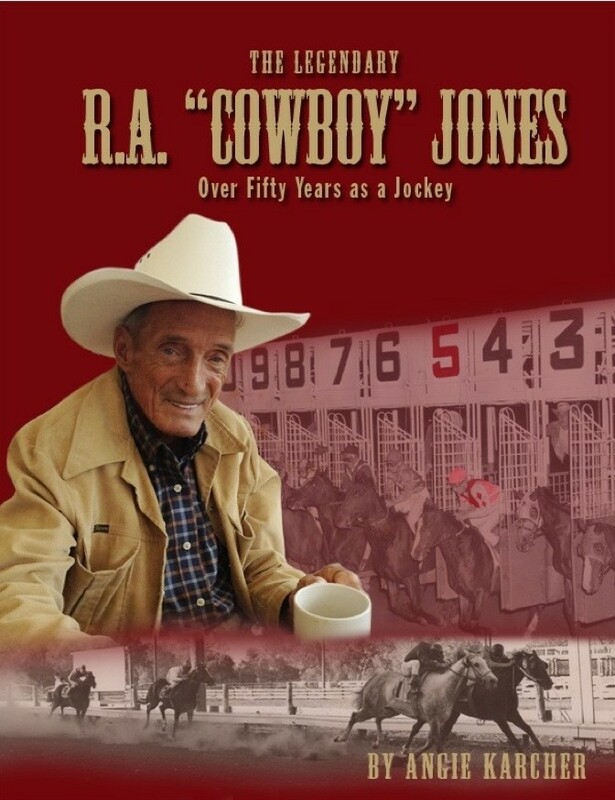 I’ve known today’s guest blogger for many years. We probably met at the very first writing conference I ever attended, back in 2002. 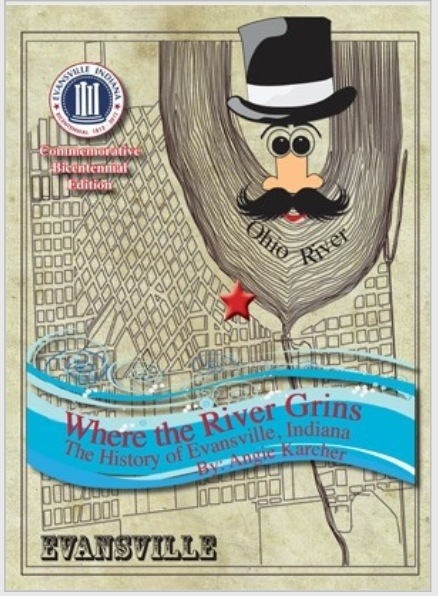 She was a Regional Adviser for Indiana SCBWI, before moving to Missouri, where she continues do school visits and author events. I was proud to ask my friend to join this group of wonderful bloggers as she definitely deserves to be included! I love music. Which is not to say that I’m ‘naturally’ musical. My husband and I line dance. He’s a much better dancer than I am. But if you can count to 4, you can line dance. Listening to the music helps, because you can ‘feel’ the rhythm. As with dancing, I’m sometimes challenged when it comes to rhythm in a poem. Like counting the steps in a line dance, I count syllables. I look at where the stress falls in the lines. But sometimes this backfires. It becomes too structured. It takes the music out of the poem. And on his farm he had a cow… Uh oh! There’s an extra syllable at the beginning of this line! But like in music, sometimes you can slip in an extra syllable, sort of like a musical grace note. I think songs must be difficult to write. But because you hear it performed, everyone ‘gets’ the rhythm just the way the writer meant it! Not so with a poem. Because a poem is left to the voice of the reader. So how do you know if your reader will ‘get’ the rhythm that you intend? Read your poem out loud. Listen to how it sounds. Do you trip up on any of the words? You’ve read your poem out loud, and it sounds great! But will another person read your poem the same way? Say the word “seal.” Do you say it with one or two syllables? How about ‘shuffling’ or ‘twinkling.’ Do you pronounce them with two syllables or three? Do you say address or address? One way to see if your rhythm works for the reader is to ask someone else to read your poem out loud. Do they put the stress in the same places that you do? Do they trip up anywhere? If you need to, you could try rearranging the words, adding or deleting syllables, or using a different word altogether to make it flow. To create ‘music’ in your poetry, listen to the ‘sound’ of your words. Do you want your poem to have a soft or sentimental quality? Use more of the ‘soft’ letters of the alphabet. Or do you want something more concrete? Use more of the ‘hard’ letters in your words. Can you hear the difference? Soft sounding consonants are: R, J, M, N, S, V, W. Hard sounding consonants are K, D, Q, T, B, P. The letters C and G can be either soft or hard. But I wrote a poem, not a song. 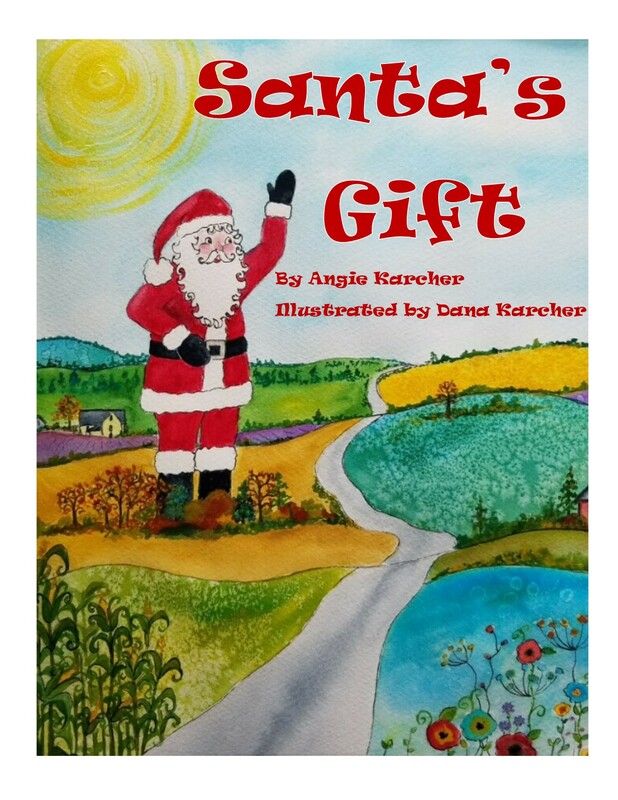 After the book was published, a friend of mine read it to her daughter’s second grade class, and she sang the pilgrim’s song! “It works perfectly to the Beverly Hillbilly’s theme song!” she said. Maybe I am a bit ‘naturally’ musical! Words dance in my head and I sing from my soul. It’s getting it to sound like that on paper that’s the hard part. Eventually I get it. I just have to remember to listen to the music. Peggy Archer grew up and spent most of her life in Northwest Indiana. She currently lives in O’Fallon, Missouri with her husband. She writes fiction, poetry and non-fiction for children and her work has been published in several children’s magazines. Peggy enjoys speaking to children and adults about books and writing. Her speaking experience includes elementary school through high school, and guest speaker at conferences and events for children’s writers. 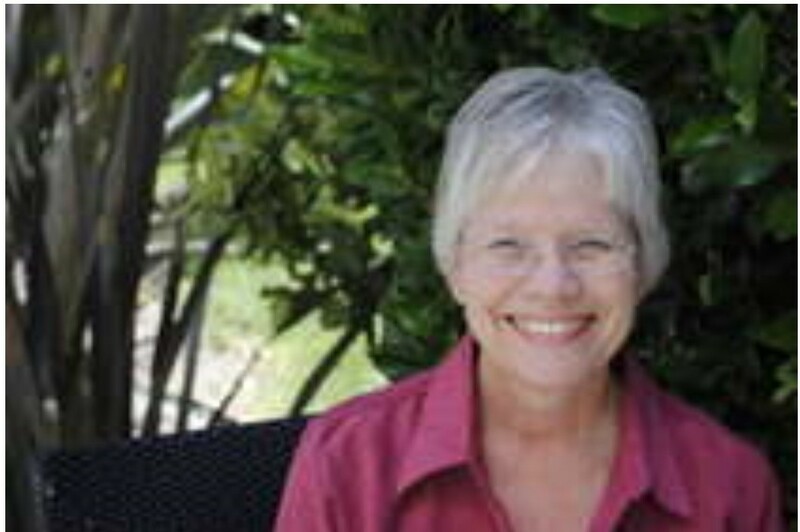 When she is not writing, Peggy enjoys reading, walking and spending time with her grandchildren and her family. Name That Dog! was nominated for the 2012 Utah Beehive Award for Poetry, was on Grandparents.com’s Best Collections of Poetry Spring 2010. Name That Dog! is on the accelerated reader list at Renaissance Learning, and is on the Scholastic Book Club list. 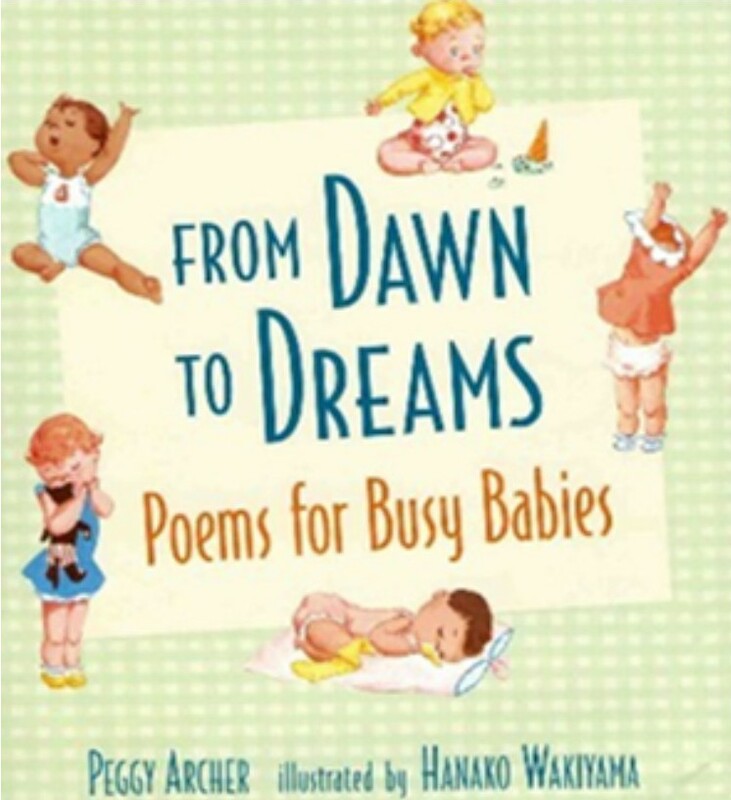 From Dawn to Dreams received a letter of merit from the Society of Children’s Book Writers & Illustrators Work-in-Progress Grant committee in 2002 and was nominated for the 2007 Cybil Award in the category of Children’s Poetry. 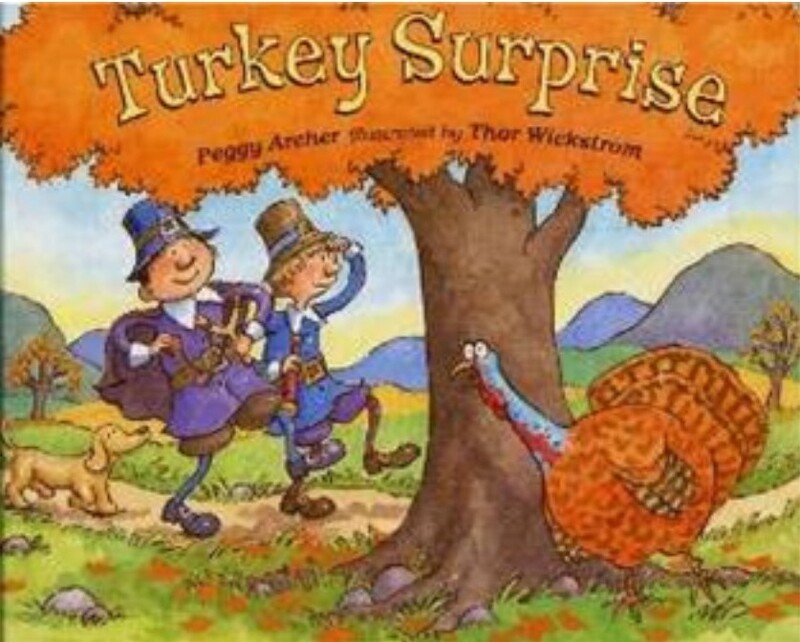 Turkey Surprise appeared on the NY Times Bestsellers list for children’s paperback books in November 2007 and was on Baker & Taylor’s Books for Growing Minds list in 2005. It is on the accelerated reader list at Renaissance Learning. The gal in this video talks for about 8 minutes about why you should never say that you are NOT musically talented…She’s funny and yet, really sincere and I think everything she is saying about singing can be applied to writing poetry and rhyme. I think everyone can learn to feel the rhythm in music and in your words. It just takes practice, a never-give-up attitude and the desire to learn. Weeks ago, before I started writing these lessons, I was stuck, waiting on a train one night and listening to the radio in my van. Jim Brickman’s music/talk show was on and he was talking about his creative process. I attended a concert of his once and he is amazingly talented! I was stunned to learn that he does not typically read or write music. That’s not to say that he hasn’t learned the basics of it but generally, as a rule, he plays from the heart. He said that he hears a tune in his head and then hums or sings the tune into his phone recording ap if he’s away from the piano. Then, when he gets home, he sits down at the piano and the notes just come out. He said he knows it’s good if he remembers it without having to retrieve his phone recording. He said he can play it over and over without ever writing it down. When asked how he manages to work with musicians, singers and full orchestras in his professional life he says that he pays someone else to write it down and create the scores for the others involved. The score writer listens to him play and puts it down on paper. Jim Brickman is naturally, musically talented. “Jim Brickman wouldn’t play by the rules. Literally. He was 8, taking private lessons from a piano teacher down the street from his parents’ Cleveland suburb home, but little Jimmy Brickman wouldn’t conform to the rudimentary regulations of piano playing, even after his piano teacher told his mother he “didn’t have the knack for this.” By the age of 12, Brickman found his mentor in the creative tutelage of a Cleveland Institute of Music graduate. As a child, Brickman had studied music at the prestigious conservatory and was honored in 2011 when the Cleveland Institute of Music established a scholarship in his name. 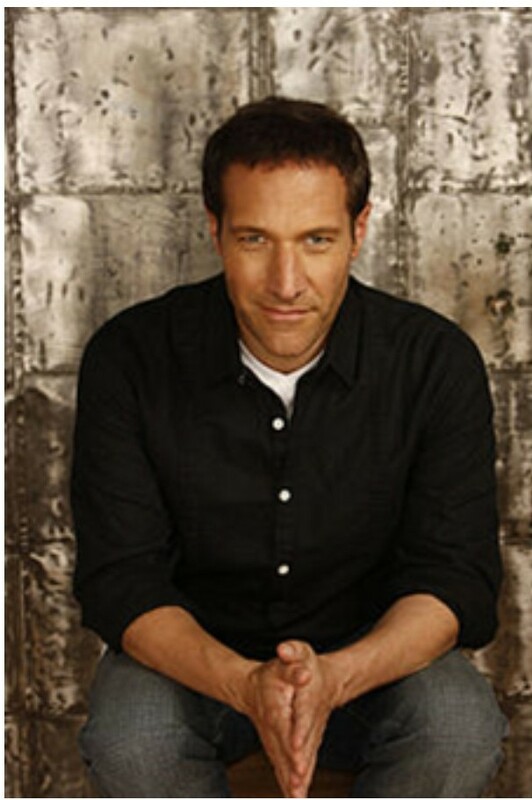 That’s all this Shaker Heights, Ohio native needed to set his career in motion, and more than two decades later, Jim Brickman would become the most commercially successful instrumental pop pianist of the last three decades. Four of his albums have been certified gold by the Recording Industry Association of America – 1995’s By Heart, 1997’s Picture This and The Gift, and 1999’s Destiny – for sales of more than 500,000 copies. Overall, he’s sold more than 7 million albums. That being said, there are hundreds of thousands of successful, talented musicians who learned to read and play music the traditional way and are very successful at their chosen professions. His music teacher said that he didn’t have what it takes to play the piano…woops! 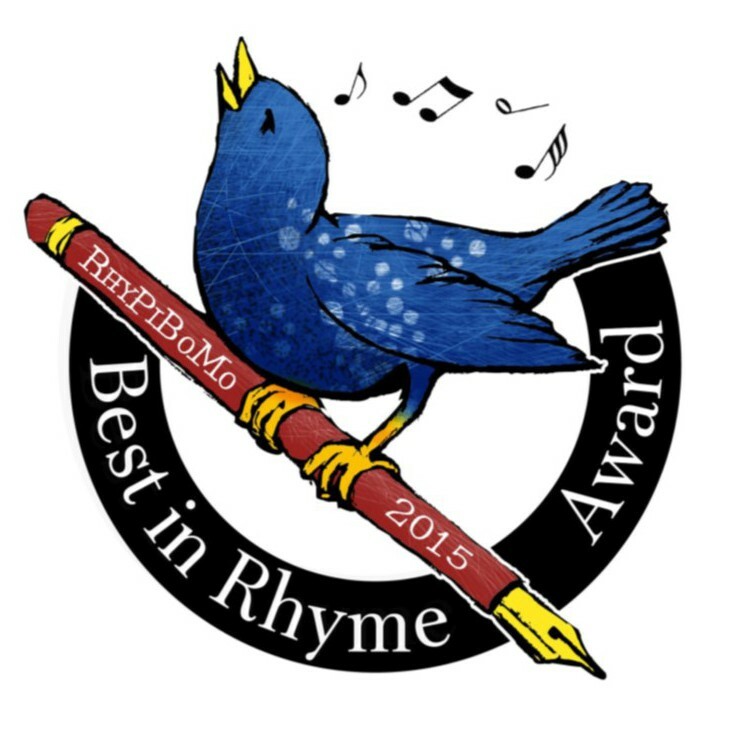 How many people have told you NOT to write rhyming picture books? 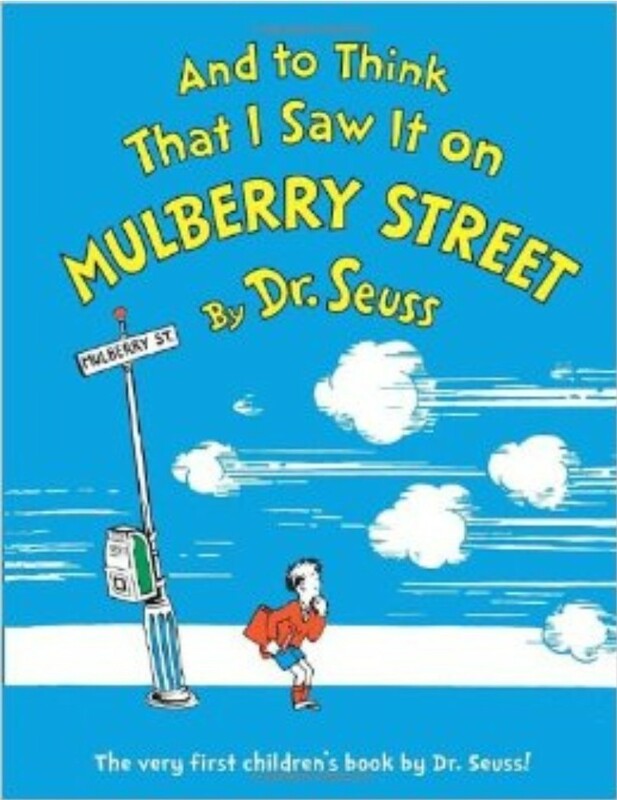 Dr. Seuss got 27 rejections for AND TO THINK THAT I SAW IT ON MULBERRY STREET before he found his publisher. My challenge for you today: Prove them wrong! What does it take? Practice! Practice! Practice! And then Practice some more! We have learned a lot of the technical stuff about poetry and its involvement in the words we use to write for children. Now, it’s up to you to take what is available here and apply it to your words. You must believe that you can do it! We all must use our strengths to our advantage and fight even harder to overcome our weaknesses when it’s something worth doing! The very same thing can be said for writing an exceptional rhyming picture book! 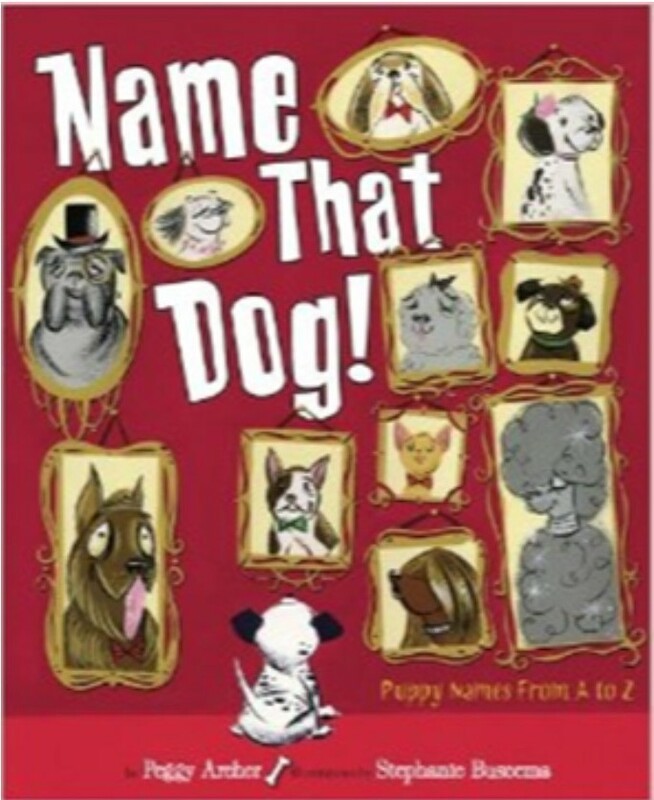 Writing rhyming picture books, in my opinion, is the hardest genre of books to write…it’s poetry, it’s picture book, it’s oral literature, it’s early reader material, it’s the introduction to language and then some! That’s a lot of responsibility. You have landed here, on my blog for a reason. A spark fell from the sky and touched your soul and you consciously decided to see if you have what it takes. I’m thrilled to have you here with me on this journey and I know that you will figure out what path is best for you. Today’s post was really just a giant pep talk…I was a cheerleader back in 1985 and once a cheerleader, always a cheerleader! So…Go! Go! Go! 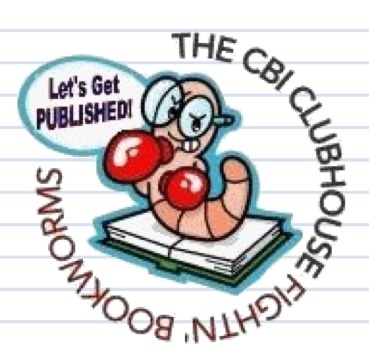 And write that magical, rhyming picture book jam-packed full of all the alliteration, onomatopoeia and poetic devices possible, until it is bursting at the seams with your heart…your heart speaking to the heart of others! While you are writing today, listen to this album. Pretend that each note is a carefully chosen word in a picture book. The crescendos and the diminuendos are the conflict, the refrain is what keeps the plot moving and the big climax ending of the song is the conflict resolution. Close your eyes and listen. Writing Prompt: Now, make your words musical and joyful, like these songs. ← Don’t Stress Over Word Stress Sunday! Lots of interesting information here, but I don’t dare click on the link for the video. I have still not recovered from the crash the last link caused. I would like to know if the webinar will be available to listen to later. I can’t be near a computer at that time. A few tuning tools for our writing. Thanks, Peggy and Angie! Just what I needed to “hear” this afternoon. Speaking with my heart to the heart of others. Feeling the words I choose. Thank you Peggy and Angie. I really enjoyed this lesson. Thanks! Thanks! This post is a lot of fun. “To Think That I Saw It On Mulberry Street” got 27 rejections! Wow. Thanks to Peggy and Angie–talk about pacing. These daily sessions have a rhythm of their own. Today’s masterful insertion of a pep talk was an unexpected delight. Okay. I’m inspired!! Thanks, I needed that! Thanks to Peggy for a wonderful guest post…and to Angie…especially for the reminder about the 27 rejections Dr. Seuss had before his first book was accepted. I’m excited about the webinar…thanks a million time to Mira and Sudipta….I know it will be incredible! Yes, I will endeavor to rack up as many rejections as Dr. Seuss. Thanks, Peggy, for your wonderful insight. I knew I was going to love Peggy and her post as soon as I read she was a fellow line dancer! 🙂 I remember when I started writing poetry and thought I did it really well. NOT! My husband politely suggested I buy a metronome to help me. I didn’t buy one in the end but I did start hearing the beat much better over time. Music has always been a super important part of my life, so this post has really touched by today’s post. Thank you Angie!!! I also think that must be the reason for me to be so stubborn about writting in Rhyme whilst everything around seems to encourage people not to do it!! Fun!!! I am thoroughly enjoying “Angel Eyes” as I listen to the album. Thanks for the pep talk. I have to say I appreciated Peggy pointing out which letters are used for soft and hard sounds. I jotted them all down in my notebook and I’m excited to go do some musical wordplay! Till next time! Thanks for the pep talk, Angie! Perfect pep talk! Thank you Angie! Thanks for the inspirational post today, Angie. I think it came just at the right time! Wonderful advice today! Thanks Peggy and Angie! I’m so far behind. I don’t know how I missed this but I totally skipped over it. Listening to the video as I type this. It’s beautiful. I’ve not entered anything to my rhyming group. I have a great idea, but I can’t move beyond the great idea. I feel like a slacker since I’ve critiqued others work (with my still limited knowledge) and have not submitted anything. And then I read this on 4/20/14. I’ve neglected the lyrical, musical sensibility of writing poetry. This is the part I LOVE and I allowed it to be pushed away. Not sure why or how that happened. I’m grateful for this post. Thanks Angie. Thank you Peggy for the reminder. Thank you Peggy and Angie.